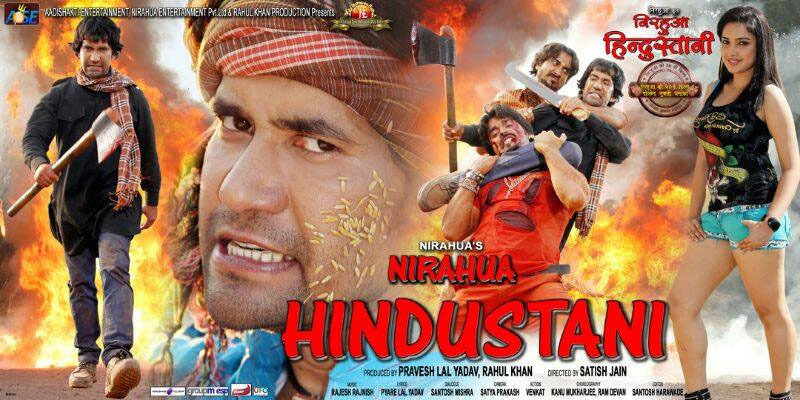 Nirahua Hindustani is a super hit Bhojpuri movie released on 26th June 2014. DInesh Lal Yadav & Amrapali Dubey were in the lead role in the movie. It was one of the most successful Bhojpuri movies. Nirahua Hindustani was 50th film of Bhojpuri Jubilee star “Nirahua”. 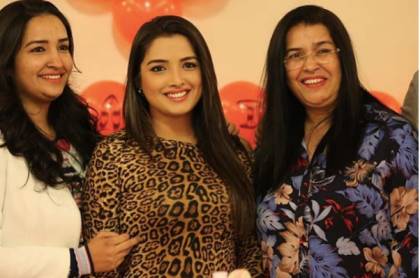 Bhojpuri Queen Amrapali Dubey made her debut in Bhojpuri cinema with this movie. The story of Nirahua Hindustani is all about Nirahua’s dream girl. Nirahua(Dinesh Lal Yadav) is a village boy & always dreaming about his dream girl. In the search of his dream girl, He came to Mumbai from his village & met Sona(Amrapali Dubey). Anyhow, Nirahua framed as a serial Killer from the Chaddi gang & punished by Hanged till death. On the Tv, he wishes to marry before death. After watching the news, Sona Came to Jail & wishes to marry Nirahua due to her Late Father’s “will”. A/c to her father’s will, If she marries then she’ll get all money & properties. But she didn’t want to marry. Then she got an idea, if she marries Nirahua then She will get back her properties & as Nirahua punished to be hanged till death then she will also be free form the bond of marriage. But after her marriage, The real culprit of the serial killing in the city caught by the police & Nirahua escaped from the death. And then he goes to Sona & a new problem stood up before Sona. Anyhow Nirahua managed to get Sona in his village but sona’s behavior with Nirahua’s parents & family was not bearable. After sometimes sona fall in love with Nirahua..To know the further story wtach the movie Below…………………………..
Nirahua Hindustani made under the production of Nirahua Entertainment, Rahul Khan Production & Aadi Shakti Entertainment. The producers were Rahul khan & Pravesh lal Yadav. The movie was written by Santosh Mishra & Directed by Satish Chand jain. Music composed by Rajesh rajnish & Lyrics given by Pyare Lal Yadav. Editing was done by famous editor Santosh Harawade. The running time of the film is 169 Minutes. Times of india declared this movie a Super hit & a grand Box office success. 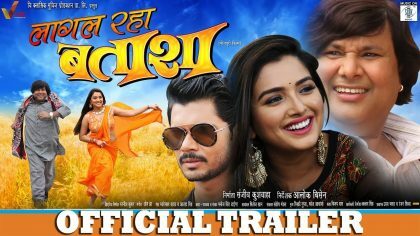 This movie also broke the all records of UP & Bihar and set a new benchmark of Bhojpuri Box office.